In the religiously militant lands of Crenoth, migrant Argosi must worship their deity in secret. A hidden staircase leads the devout to a sacred chamber beneath the Argosi consulate where they can lay oblations at the feet of their gods unmolested. The sounds of flowing water and ethereal chanting offer refuge from the harsh Crenothian society. Lyrella, Goddess of Light, gives truth and knowledge to those who submit to her divine will. Her followers offer fervent prayer and devotion to spreading her teachings. Lorkar, God of Victory, stands with banner unfurled and sword drawn, ready to conquer all Argosi enemies. Bright torches light his visage, ensuring that none are mistaken as to his intentions. He demands wealth offerings from his devotees, because victory requires wars and wars require money. Sulis the Wise requires only a true heart and a clear mind from his disciples. They bring him nothing and he offers nothing in return, and by so doing they gain everything. A single candle lights his chamber to serve as a focal point and remind all who meditate there of the unity of all things. This looks so awsome. I have been in desperate need of a program like this. 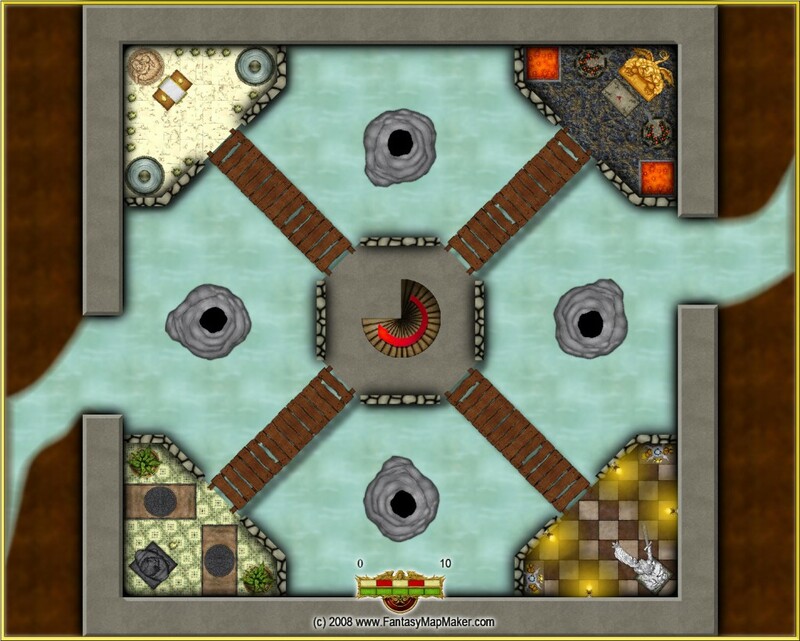 Most of these maps are free to use, unless otherwise noted in its respective post. See here for more details.